In a moment of national tragedy, people tend to huddle together. That instinct  the need for community to gather and console one another in a moment of collective shock and pain  was Anders Behring Breivik's most insidious weapon in the arsenal he carried onto the tiny island of Utoeya, a wooded retreat in Lake Tyrifjord, about an hour's drive from Oslo. Breivik, a handsome 32-year-old Norwegian with blue eyes and a short crop of blond hair, arrived at the lakeside pier dressed as a Norwegian police officer. Hours before, a car bomb that police believe Breivik planted and detonated in the heart of the Norwegian government quarter had ripped through the neighborhood, killing at least seven people and injuring many more. It now seems that the Oslo bomb was a murderous distraction, a meticulously planned bit of misdirection. The apparent attempt on the life of Prime Minister Jens Stoltenberg, at first thought to be the work of Islamist extremists, kept Norway's crack antiterrorism squad pinned down in Oslo while Breivik drove to Utoeya. He flashed his ID  which was fake but good enough to fool the security guards at the lake. And they waved him in. "He gets out of the car and shows ID, says he's sent there to check security, that that is purely routine in connection with the terror attack [in Oslo]," Simen Braenden Mortensen, one of the camp guards, told the daily Verdens Gang. "It all looks fine, and a boat is called, and it carries him over to Utoeya. A few minutes passed, and then we heard shots," he said. When he arrived at the island, Breivik found people hurrying into the main house at the retreat. Some were crying, walking arm in arm as they tried to make sense of the images of devastation filling TV screens in the aftermath of the Oslo bombing, which by then was being described as Norway's 9/11 moment. The guests on the island had particular reason to be rocked by the events in Oslo's government quarter. Each year, for as long as anyone can remember, the youth wing of the Norwegian Labour Party has gathered there. Founded in 1887, Labour is Norway's largest political party, and it has been the major force in the country since World War II, giving up power to the Conservative Party only for brief periods. Gathered at the retreat of the Labour Party's youth wing were the country's future leaders, the teenage children of the ruling elite. By the time Breivik approached the main house, witnesses recall, about 80 people had gravitated there. "We had all gathered in the main house to talk about what had happened in Oslo," a survivor, a 16-year-old called Hana, told the Aftenposten, an Oslo daily. 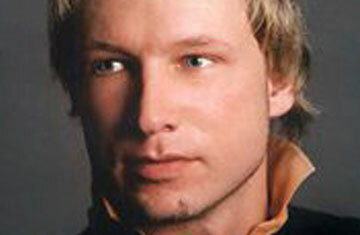 Breivik, in his policeman getup and and by then wearing earplugs, urged the people to move into the main house. "I'd like to gather everyone," he said, according to Hana. Then Breivik, brandishing an automatic machine gun, ran into the main house and opened fire on the crowd. With the eyes of the world on Oslo, it took more than an hour for Norwegian police to comprehend and respond to the massacre that was unfolding at the idyllic island retreat. Children ran screaming out of the house and across the grounds, only to be gunned down in their tracks. Breivik, according to witnesses, remained calm, methodically seeking out his victims as they ran into the hollows and behind the stones and bushes, where they attempted to hide. He chased them to the shores of the island, a thin, 500-yd. (450 m) strip of land in a gray lake in the Norwegian woods. Children jumped into the water, attempting to swim away. Some managed to reach boats that showed up to rescue survivors. Khamshajiny Gunaratnam, a 23-year-old student who survived the Utoeya attack, wrote about the episode on her blog. She describes being terrified, crouching on the floor of the toilets in the main house to hide from the killer, who was busy hunting down her friends who were still out in the open. Seizing an opportunity, Gunaratnam and a few of her friends made a dash for the lake, jumped into the icy water and swam frantically to a waiting boat. "Even when we had reached the boat, I could not relax," she wrote on her blog. "He could still hit us with his machine gun!" People who live near the island described horrific scenes as scores of teenagers rushed for the water as the shooter fired on them. "They were so young, between 14 and 19 years old," said Anita Lien, a 42-year-old who lives near the lake. See "Post-9/11, Biggest Threat Is Underground."